Sarah and Musilianji in the forest near Palais before her Elima. The rains started early in 1982. They were daily and they were heavy. In the village, for some women, the rains were a time of minimal work. Long afternoons with only sombe to pound. For others, like Azama, without a husband, with a lazy brother and with children to feed, there was a long line of chores to complete before the afternoon rains. Not only did the rice and peanuts have to be weeded, not only did enough manioc have to be harvested so that no one went to bed hungry, but the palm nuts had to be boiled and pounded for oil and mangongo leaves collected to patch up the leaks in the roof. I, too, felt pressed by the rain. Before the rains were over I would have a baby and then, perhaps, for several weeks, I would not go into the forest, maybe a month. I was swelling; there were kicks and turns that would make me pause, hand to my belly, no matter what I was doing. There was no question that our routines would change, but how, exactly, we could not say. In the meantime, a certain minimum fieldwork had to be finished each day before afternoon rains, and each month as I got bigger. Despite the urgency, afternoon rains brought a comfortable predictability. In the morning the sun shone streamers of brilliance through mbau onto a tinseled world. The hens hustled their chicks around the puddles of last night’s torrent; eventually they scraped for bugs in the rain heavy yalala (kitchen compost). Basisionoko prepared a large pot of coffee with ample amounts left in the kitchen to warm himself and Kenge. I noticed all of this as I reviewed what was done yesterday and prepared the field sheets and equipment for today. We would be measuring treefall gaps to the southwest of town. By 7:30 the sun in our clearing was insistent and the work crews were ready, contemplating departure down a still wet forest path. They jostled close to the zamu’s fire, pushing aside one-eyed Gilbert and Matayo, even though Tshukiza and Atoka knew that within minutes we would all be soaked and our clothes sticking to our skin. Sure enough, It did not matter how intense the morning sun; Juma, the youngest member of our team took the lead. Carrying a long, forked branch, he beat the side vegetation ahead of us, releasing its load of yesterday’s rain. Kenge, unabashedly, stationed himself last. But even he got only a few more minutes reprieve. Soon, we were all walking at a quick clip to keep the blood racing. By noon the forest was dry. The sun flecks through the leaves were as constant as the continuous three-note refrain of the wattle eye flitting from shrub to treelet to liana-tangle. But we did not dawdle; having completed the expected measures and counts, we headed back. The afternoon rains could begin at anytime. I hoped to be home, at my desk, when the air grew dark, birdsong hushed and a sudden chorus of tree frogs broke on a rising breeze. At home, when the torrent struck, Sarah and friends came racing into the kitchen from the water’s edge, or more often, she was at camp. We saw her later, during a break in the rains. She came running down, she and Safenia and perhaps Kole all huddled under one kikwembi cloth held close over their heads. Home from the forest, we bathed in the river then moved on to rewriting notes and making summary calculations. Now, the rain was welcome. We pulled our desks back to avoid the splatter through the window and watched the first rain lashing over the Epulu. It came in repeating waves; so loud on the tin roof, talk was impossible. From the top of the hill in town it was possible to see the rain coming from a distance, envelope the town, and move on down the Epulu River. There was a chance for women to call out their last message to a neighbor or child on the other side of a parcelle. Azama with her mother hurried back from the garden with a load of manioc and firewood . Seeking cover, they slipped into the first house on the edge of town. Azama too was pregnant, at least as big as I. When the rain struck, for the first few moments of storm everyone was utterly cut off from all others by a roaring wall of rain. Daily rains turned the Ituri’s road to mire. Already in September, we often switched to four-wheel drive to grind through the muddy sloughs, as John, Sarah and I drove to Nyankunde for a pre-natal checkup. But the Nyankunde welcome was worth the difficult drive. Hannah and Kahiigwe made certain that the old Peace Corps post was still a home. Hannah clasped my shoulders possessively “You will have your baby here. You must!”. I sat on a low three-legged stool in the kitchen; Sarah leaned on my legs and both of us savored the smell of melted Hema butter before the beans were thrown in to fry. It was a smell of well-being I remembered from Peace Corps days, the odor of butter and the tart scent of eucalyptus from the old mission plantings of more than a half century earlier. Hannah was already planning my return for the birthing. “Be sure to leave plenty of time”, she warned. She would fix up the back room for us. John and I climbed Nyankunde hill once again. I climbed a bit heavily, but, on top, we had the same magnificent view west across the savanna and over the edge of the forest toward Epulu. Hannah had never traveled west along the road and into the forest. She knew she could not judge the distance. “If you drive as far as Mambasa, then you could fly from the mission airstrip.” She suggested. Once back in Epulu, however, with daily rains all the rest of September and into October, the roads continued to deteriorate. As they became more intimidating we looked carefully over the birthing “kit” that Nyankunde’s midwifery team had generously given us, “just in case”; it was a rolled cotton cloth containing sterilized clamps for the umbilical cord, little cord ties, and a swaddling wrap. It gave us a feeling of preparedness and independence. While we were in Nyankunde the mission doctor predicted the birthing date for the 12th of November. Before then, John wanted to follow some rainy season hunts at the Tito River. He needed a good sample from all seasons. Mbuti from our side, the west side of the Epulu River, had crossed over to join the eastern group of hunters, Zayre’s group, on the lower Tito watershed. It was a large encampment. Afterwards John had to go to Kisangani to get Zairian cash, enough for salaries and other needs through the end of the year. There were several merchants in the larger towns that would take our checks in exchange for local currency. For them it was a way of acquiring dollars for outside accounts. The local currency had almost no value across any of the national borders. Within Zaire inflation was uncontrolled; the size of the box of bills we’d receive in exchange for a five hundred dollar check increased every few months. Fortunately, a work crew on a World Bank project had recently arrived in Epulu. To the warden’s great pleasure they were renting the gîte at the Station. The crew, two engineers and a soil specialist, was doing an assessment of the roads between Bunia and Kisangani and needed frequent trips to the big town to keep up their survival supplies of spaghetti, spam, sardines, and liquor. The team itself was skeptical of their project. They expected no major roads construction to follow their reconnaissance mission, but in the meantime they were putting money in the warden’s pocket and they were of immense help to us logistically. Most importantly, they were planning an imminent trip to Kisangani in their new Toyota. If he traveled with them, John would almost certainly be back more than a week before the predicted birth date. A safe margin. After all Sarah had been born more than a week later than expected. The rains brought a period of forest plenty. Trucks from the east with their provisions of onions, potatoes, cabbage and beans became less frequent. The road was too treacherous to navigate safely. Several trucks tipped over near Epulu, two had fatalities among the passengers who had been riding the cargo on top. But as truck options diminished, forest options flourished. Following the heavy honey season was a season of abundant fruit. We ate mbeli fruit hot and covered with honey; the little black fruits, slightly bigger than olives, were thrown into boiling water where they softened almost immediately to oily fleshiness. Mbeli trees were huge and scattered, but each Mbuti camp had located several trees that were their “own” to harvest. For weeks when the crop was abundant, almost everyone, villager as well as Mbuti, was eating mbeli. The crunchy nut-like tobe, from a liana, and chewy sesemu, from an understory treelet, were rarer. Often they were eaten right in the forest where found; they were never sold in town. Sometimes, though, at the end of the day, Sarah would bring us a couple from camp tied in the corner of the small kikwembi cloth she wore around her waist. Like mbeli these were rich in oil and protein. Mbau seeds and wild yams – along with honey — were the only forest foods that would really could make us feel full with their starch and sugar. Even when John and I were trying to hike quickly through the forest, this rainy season of abundance would demand numerous stops. There were certain to be the various Landolphia,: maya, akale, and abuma, all ready to eat from the vine, high in the canopy. Someone would let out a whoop and speedily shimmy up the lianas. Swaying high above us he would break and throw down clusters of fruit. And there was also astringent but sweet ebambu, swollen against the tree’s black trunk. It hung huge and low, where the flowers themselves had previously been a beautiful bouquet against the ridged bark. Atoka hacked off the fruit before it fell of its own weight to be routed through by the red forest hog. We ate the choicest parts of the ebambu and took another handful of sections as we continued down the trail. Fruit flies gathered in clouds just above the surfeit left on the forest floor. 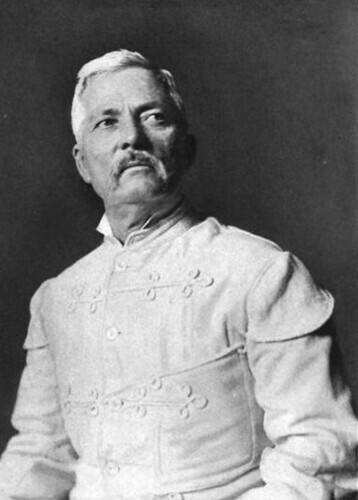 It was during just such a fruiting season that Henry Morton Stanley, as part of a single expedition, marched twice across the Ituri Forest, first in 1887 and again in 1888. So why, if it was during seasons of abundance, were his camps called starvation camps and why did so many in his column die? Photograph of Henry Mortan Stanley as frontispiece to In Darkest Africa. For Stanley the Ituri was the pariah of forests. I only appreciated his abhorrence after the visit of David who went in search of Stanley’s starvation camp. Later a Peace Corps volunteer exchanged a book about Stanley for a novel from our mini-library (Stanley, an adventurer explored by Hall, R. 1974 Collins, London). Part of a map insert that shows the geographic recording Stanley made during the expedition. Stanley’s last expedition of his much-publicized career of African exploration took him right through the Ituri. This was more than 15 years after his famous encounter on the banks of Lake Tanganyika in 1871 with the renowned Dr. David Livingstone. Later, it was Stanley who discovered the course of the Congo River following it from the center of the continent to arrive a year later, in 1877, at its Atlantic mouth. In the employ of Belgium’s King Leopold II from 1879 until 1884, he became known on the lower Congo as BulaMutari, the breaker of boulders. He cut roads through impossible terrain and founded settlements where most white men could not imagine anything but savage wilderness. But this last expedition where he marched east from the bend in the Congo River, east through the “remorseless” forest, “dense and gloomy”, could easily be considered a disaster. “All the armies and armaments of Europe could not have lent us any aid in the dire extremity in which we found ourselves in that camp between the Dui [Nduye] and Ihuru [Epulu]; an army of explorers could not have traced our course to the scene of the last struggle had we fallen, for deep, deep as utter oblivion had we been surely buried under the humus of the trackless wilds.” (p4-5 prefatory letter in Stanley, H.M., 1890. In Darkest Africa Vol 1. Charles Scribner’s Sons, New York). As Stanley’s oversize caravan left the big rivers and plunged deeper into the forest, they lost the large settlements they depended on for provisioning. His company was in an unknown land, where nothing resembled food. Nor could they take time to scavenge even if they had known what forest foods to look for; they were outfitted for a military expedition and they were driven forward as though to battle. His officers included nine Europeans of whom two died in the rear guard on the Aruwimi River. One hundred of just over 250 porters also died in the rear guard. Stanley, leading the advance column, lost men at the rate of more than one per day on his first trek across the great forest. He left the Aruwimi, below Stanley Falls (later Kisangani) with 383 men and boys; they reached the savanna on the other side of the Ituri Forest just under 150 days later. More than 150 of those men and boys never made it. The trekking column suffered ambush, starvation, desertion and disease. Stanley (sitting center) with the officers of his advance column. Dr. Parke on the far left. The few villages found after they left the Ituri River climbing north on foot in parallel with the Epulu River, had been previously plundered by ivory-seeking Arabs. The houses were fallen in or burned and the abandoned banana gardens ravaged by elephants. In imitation of local people, Stanley’s caravan ate grubs (probably beetle larvae), caterpillars and termites. From his descriptions I imagine that they ate ebambu and possibly Landolphia as well. But certainly one or two foraging old women could hardly feed a caravan of over 300 men. Landolphia fruits could only temporarily assuage hunger. 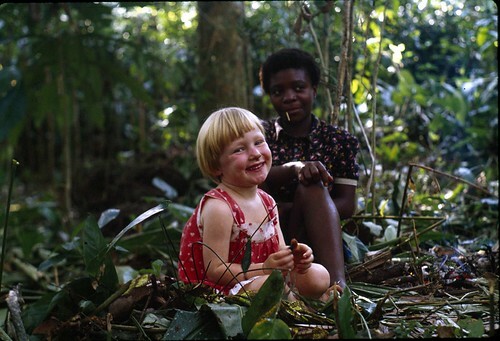 I thought about Stanley at the end of work, as I sat on a log, spitting out maya seeds while Tshukiza rolled up the twine we used to measure treefall gaps. I was still very hungry. It would be mid-afternoon by the time we were home. I marveled at the intense heat in the treefall gap just meters away from my shady perch. We all listened for the sound of thunder that we knew would come very soon because when Juma climbed for the Landolphia he had seen a black cloud bank in the northeast. Stanley, too, must have sat in the shade during mid-day breaks, and he might have eaten Landolphia, but they would not free him of hunger. Not only was his caravan far too big, but even the Mbuti only rely on forest foods at the time of greatest plenty, usually when there is lots of honey, and even then they break up into small camps. Any one family cruises several square miles of forest and their movements are decided on the basis of where food is likely to be found. 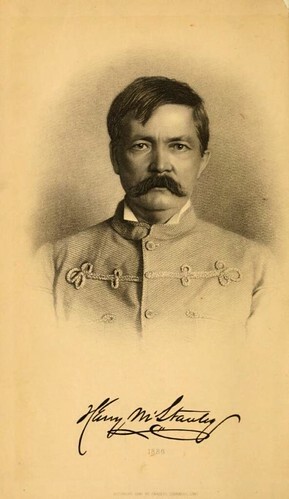 Dr. Thomas Parke, who marched in the Advance Column with Stanley, was the only white officer in his caravan to benefit substantially from the foods of the forest. Dr. Parke had freed an Mbuti girl, who had been taken as a slave by a band of Bangwana (Arabized “tribe” from the south). She was grateful and devoted. Out of solicitude for her liberator’s health she would leave camp to forage in the evening returning secretly with forest food at night. Because of her ministrations, Dr. Parke kept up his weight losing only half as much as the other white officers (p 314-315 in Hall,R. Stanley. An Adventurer Explored. 1974). He may have been the only one to appreciate the generosity of what most of the expedition thought to be a cruelly hostile forest. Stanley’s expedition left no trace in the Forest. The impact of the Arab ivory hunters that preceded him, however, is still seen today, primarily, perhaps, because the caravans of the Arab ivory hunters were not entirely foreign to the forest. The Wangwana whom the Arabs traveled with were from tribes originating in similar forests just to the south. Many stayed in the forests to which their warring brought them. Stanley first met the famed Arab Tippo-Tib ten years before his trip through the Ituri (p 63 in Stanley, H.M. In Darkest Africa Vol.I 1890) . Tippo-Tib, himself a mulatto of partial African ancestry, had an outpost west of Lake Tanganyika on the upper Lualaba (the southern Congo River) called Kasongo. During the 19th century Arab commercial interests had been spreading progressively out from the east African coast. They had already arrived west of Lake Tanganyika by the mid-century. But their market remained back east. The commercial routes of Tippo-Tib and all the Arab traders of central Africa led east to the markets of Zanzibar. The Wangwana (now called Bangwana in Epulu) had adopted Islam, they learned to speak the Swahili of the Arabs, and they fought under an Arab sultani. But they were forest people. They were moving out of the forests of the Lualaba toward the forests of the Ituri, the Congo, and the Aruwimi. But, under Arab patronage, the Bangwana advanced, and as they moved northward they made settlements and ultimately alliances. By the time we arrived in the Ituri the Bangwana were no longer an economic nor administrative force. At Epulu there was Muzama with his small restaurant and coterie of wives, there was the Mungwana chief who had less power than Bosco with his dominant family and there was a string of Bangwana prostitutes along the road. They lived alone or together supporting their children of various fathers by selling local fast-foods such as deep-fried cassava-flour doughnuts or roasted peanuts to truck crews. They had their small gardens and maintained various degrees of “availability” to truck drivers. Several of the Bangwana women were pregnant, but I did not feel the same affinity with them that I felt with Azama. Azama, with her mother and brother, made a household. They were one of the homes on Palais path. The Bangwana women had tiny mud cottages with doors directly on the main road. The women were open, friendly, and coarse. If I came up to town for a tin of concentrated milk or a small lantern, they would know just where to look and how much it would cost. Several of the Bangwana women helped kandika (put mud on) our house. They wanted beer as a thank you and sat around on upturned beer crates, bawdy well into the night. There were also several pregnant Wanande women, all of them mothers without husbands. Among them was the most educated woman in town, Kavira, who had not only finished secondary school, but also studied a couple years beyond. She was the director of the elementary school and was pregnant with the warden’s, Palana’s, child. After Bosco had successfully made his daughter, Dudu, off limits to Palana, the warden showered his attention on Kavira, the woman who should have been an example to Epulu’s children. I noted there were almost no Mbuti children in the elementary school, and those that went rarely stayed more than a couple months. The Wanande were first generation immigrants; they lived from their gardens and their commerce, divorced from the forest. Even the Bangwana, although now fourth or fifth generation, still were settled along the edges. The forest belonged to the Bandaka to the west, to the Bila to the East and to the Lese to the North. The Bangwana, like the Wanande, were road and garden culture. When the Bangwana first came to the Ituri in the latter half of the 19th century, they, with their Arab/Zanzibari leaders were in search of ivory and slaves. When Stanley’s expedition encountered them they were ravaging the forest from “stockades” built under the leadership of the Arabs Ugarrowwa and Kilonga-Longa. They came for the wealth they could export and sell in Zanzibar. What was locally considered the bounty of the forest, the honey, the meat, the nuts, was of no consequence. John came back from the hunting camp on the Tito River and reported high spirits and a bountiful forest. Their hunting nets had wound through the same forest hunted by Cuthbert Christy at the beginning of the century. “The duikers”, John reported, “are fat from fruit and seeds.” They had more body fat than he had ever recorded. I asked many questions. Although I regretted missing the trip, I was too pregnant and Sarah was neither small enough to carry easily or big enough to walk the whole distance. Just as well. There were other projects I had to finish close to Epulu. John had only one day to sort the bags of rumen contents he brought back from the Tito and to catch up on Sarah’s stories-of-the-day. She and Kole roasted Irvingia wafers and ate every last one; she went fishing with Matama; she took good care of Mama. I braved the formeldehyde fumes during the afternoon to hear more of John’s stories. He patted my belly and asked how I felt with more question in his voice than I could answer. I shrugged. “The baby’s kicking and I feel great,” and I did. He left the next day for Kisangani with the World Bank team. It seemed sad at the time: Sarah and I by the door to Palais, holding hands and waving, as John swung himself up in the back of the pickup. Kisangani was so far away and the roads so uncertain. The pickup was already muddy just from the trip over the hill from the Station. John waved back vigorously, then held the side of the lurching truck, his hat pulled low over the hair I’d just cut the day before. During the rains, big trucks frequently took more than a week to do the 300 miles. Perhaps I would feel a little better if John had a bicycle with him. Then if there were some mechanical problem or long line-up of trucks at a particularly bad morass, he could just leap out and keep going. Our connection to Kisangani seemed only marginally better than what James Chapin or Cuthbert Christy had had more than half a century earlier. Chapin’s and Christy’s connection had been a walking trail and not that much better than Stanley’s. Stanley, just a bit more than two decades before them, took 100 days to march from Yambuya on the Aruwimi to the Epulu River. It was the unknown that sent Stanley to these forests. In the latter quarter of the 19th century, after fifty years of Africa exploration, the forest east of the bend in the Congo River was still a white blank on the best map of Africa. Bit by bit the interior of the continent was filled with the lines of rivers, lakes and mountain ranges, but the land between Soudanese Equatoria to the north and the most western posts of the Arabs at Nyangwe and Kasongo was not yet inked-in by any European cartographer. Stanley’s mission as proclaimed in Europe and America was to “save” Emin Pasha. This won a passionate following from a public eager to avenge the recent and still mourned death of General Gordon, who became a hero when beheaded in 1885 by Islamic Mahdist forces in Khartoum far to the north of the Ituri in Anglo-Egyptian Sudan. The Pasha had also been a European administrator in Sudan. In Europe it was imagined that the same Moslem “fanatics” who beheaded Gordon were pursuing Emin Pasha south. He was presumed to be under siege on the southeastern edge of Equatoria when Stanley set out to rescue him. Emin Pasha who was near Lake Albert and whose rescue was the reason for Stanley’s mission. The nature of his mission explains the large military force Stanley traveled with, but certainly the quickest and surest way to get the reinforcements to Emin Pasha would have been to come in from the east. The routes across east Africa were fairly well known. Yet, he had the internal drive to turn around and march back into the gloom to recover the rest of his caravan. After John’s truck disappeared up the path and on to Kisangani, Sarah tried hard to shoulder greater responsibility. She would bring me back little treats at the end of the day that she and her friends had fixed, roasted manioc or forest yams. She took very seriously John’s admonishment to take care of her Mama. I set about getting as much done as possible. What needed absolutely to be done now before the birth? I also thought seriously about the birth itself. What if the baby came early? There was no doctor in Epulu. The local midwife had taken off nearly two months ago to have her own baby in Mambasa and had not come back. I felt pretty sure that everything would be normal…still. Next trip up to town I wound past the elementary school and stopped to see Kavira. She was short, not more than five feet tall, if that, with a round face. Now, seven months pregnant with Palana’s child, she looked like it would be easier to just tuck up her feet and role rather than walk. She had fixed me tea and the two of us perched like Tweedle dee and Tweedle dum on stools in her kitchen. She told me that I looked excellent but should not be picking up anything too heavy. She confirmed what I had heard, that she had been trained as a midwife and in fact attended many of the village births in Epulu. I told her I would call her when my time came. It was a relief to have that back-up. As for work, I knew that Kenge and I could go to the Lelo River and back in one day. It was only a bit more than a two hour walk one way, and one day was all that was needed to sample the fruiting abundance of marked mbau trees along the Lelo banks. Atoka and Tshukiza came along. I warned Aasha and Sofi, who took over care for Sarah ever since Musilianji left, that we might be late. It was a quick walk. The three men felt no particular need to slow down just because of my bulging shape. I strode along as quickly as I could behind Tshukiza. We worked quickly. On the way back, however, Atoka spotted a hive of apwiso (stingless honey bees) in a fallen tree. There was no hesitation. Atoka did not have an axe but a machete would do. I welcomed the chance to sink onto a huge fallen liana that snaked along the edge of the treefall lifting towards the canopy on a nearby kodu tree. Kenge carried on a lively commentary, mainly in Kibila. Tshukiza, perched a good two meters off the ground on a sapling bent by the treefall, gave short laughing rebuttals. Atoka, insisted on chopping into the hive without help; he stopped only to laugh heartily at Kenge’s jibes, wipe his brow and then whack again. I closed my eyes and listened to the cicadas and the birds. In the distance the branches of eko and loku trees were bending and snapping back with a constant rustling of leaves. A troop of mangabeys was feeding. Occasionally an excited crescendo of hoots overrode their more intimate murmurings. It felt good to get the weight off my feet. When Atoka finally reached the hive there were several quarts of apwiso honey. Atoka danced and Tshukiza bugled a triumphant three notes to the treetops. They were as satisfied as if they had killed a yellow-back duiker or forest hog on the net hunt. The apwiso honey had a strong citric tang and was more liquid than the honey of stinging bees. No one made an attempt to fashion a mangongo container to take any back to camp. They scooped the honey with cups of kasabulu leaves; the honey dripped from their hands and down their arms. I was handed a leaf-twisted “cup” and though I stood and leaned forward to drink it, honey dripped down my arms as well. I drank three cups and chewed some of the wax filled with pockets of pollen. I turned down the wax encased larvae that Atoka and Tshukiza chewed with relish. When we finally left the tree, the ground was sticky and littered with our abandoned leaf cups. I felt euphoric and slightly giddy. It was not the drunkenness of alcohol but certainly it was an altered state. Everything was suddenly amusing. I was laughing when we stopped to wash-up at the first stream. I felt sure that I was hovering in the air though I knew I was squatting on the sand. We were still laughing when we were washed again by the afternoon rain. The rain, too, tasted sweet. Despite our sodden heaviness we seemed airborne when the sun broke through again and we tripped, barely touching the ground, into Epulu. We cut past Bosco’s compound and the row of small houses belonging to the Bangwana and other single women. A few weeks ago they had told me laughingly as I walked past, very roundly pregnant, “Utafungula hapa” meaning “You will open up here.” On that euphoric walk back from Lelo I sensed what they meant. My hips seemed to couple and almost come apart. There was no pain, just a sense that what had been fastened tight had now come loose. I would, indeed, “open up” in Epulu. That evening I felt particularly large and comfortably anchored on my three-legged stool as Sarah took her bath by the River. Perhaps it was the lingering effects of the Apwiso, that made reading impossible. A journal lay in my lap along with Sarah’s towel as I watched the sun mellow the wet forest across the River and gild Sarah’s skin. The world had been washed by rain and was now waiting for night. Epulu was home to Sarah; there was no memory of anything else. And because of her, and the baby that would soon be, in the eyes of Epulu we had created a line of succession for Putnam. Palais had been home for Patrick Putnam, as well. Although he returned to the States, the visits were brief. Joan Mark, who wrote his biography, showed me letters to Putnam she had found at Harvard’s Peabody museum. Written in the local Bangwana-Swahili, the notes described illnesses of workers, disagreements between his wives, petty thievery and village arguments. This was his news of home, sent to Putnam in the self-addressed envelopes he had left behind. James Chapin had lived intensely and without regret his years in the Congo, but always as explorer and scientist. The value of his trip was in what he could make of it in the museums and laboratories of the West. The west was home, where he married, catalogued and wrote. For Stanley Ituri forest was not home, it was a bitter adventure, transformed, even as it occurred, into newspaper copy. Stanley was a journalist. 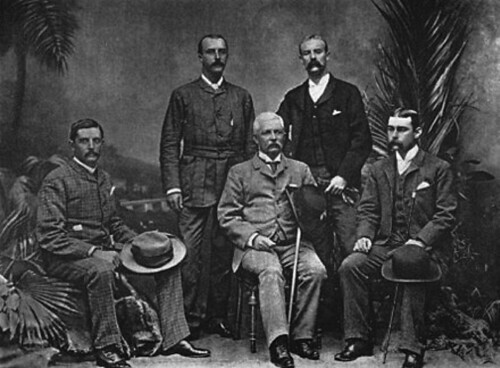 Before leaving on the Ituri expedition he committed to writing a book and six British newspapers had made advance payments for the privilege of his dispatches. (Richard Hall, 1974, p 292) When, by the fire at night, he dated his journal entry and wrote of the day’s progress, he was recording for the Royal Geographic Society, for King Leopold’s peers and a wealthy cosmopolitan readership. He was writing for “home”; he knew his readers and he knew how to reinterpret events to fascinate and shock their sense of righteousness. Even though it would be months before they read what he wrote, he was more intimate with his eventual readers than with the forest that surrounded him. I wondered about Emin Pasha . I knew little about him, except his rescue was the mission of Stanley’s trip. Emin apparently traveled with a daughter, Ferida (Richard Hall, 1974, p320). The daughter, whose Ethiopian mother had died, was six years old when Stanley met her. She could have known no home other than Central Africa. And if Emin, himself were not deeply attached to the Congo, why would he have returned after Stanley led him to safety in Zanzibar? Stanley’s biographer, Richard Hall, speculates that Stanley’s daring and ruthlessness grew from a defiant need to prove himself to his world and perhaps particularly to women with whom he had little luck. He was born to an unmarried woman at a time when illegitimacy was socially unacceptable. Although rejected and penniless as a child, as a young man and a journalist, he learned he could mold people’s understanding. He did so passionately, constantly. Emin painstakingly recorded data for his collections of birds and small mammals, their measurements, color, habits and habitats. Stanley realized that the Pasha’s scientific notes were very different from his own recordings for an audience back home. They were also different from Stanley’s geographic notes that would allow him to fill in the blank on European maps that was the Ituri Forest. Emin was not interested in such political schemes. Having arrived on the eastern coast of Africa with Stanley, Emin tarried less than five months before heading back towards the Ituri in the employ, this time, of the Germans. 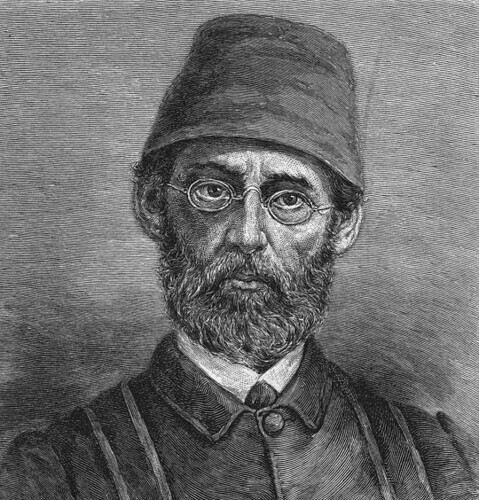 Less than five years later Emin Pasha was killed during the Belgo-Arab wars. Much survived, but not all, of his extensive natural history collection. And I never could find out what became of his young daughter, Ferida. Stanley did not fight in the Belgo-Arab wars that refashioned eastern Congo during the last ten years of the 19th century, but his adventures drew the lines of the battlefield on the map. It was Stanley who, during his first Congo mission in 1876, met and actually employed Tippo-Tib who later became the “enemy”. He had convinced Tippo-Tib to accompany him 180 miles north from the Arab stronghold of Kasongo. This meant Tippo-Tib ventured considerably further north than his usual sphere of influence. Afterwards, Tippo-Tib with relatives and allies had continued to expand their ivory hunting and slaving operations northwest to the bend in the Congo River (now Kisangani). Stanley after the mission to rescue Emin Pasha. A consequence of Stanley’s earlier expedition was to facilitate the Arabs commercial reach north through the Ituri, but, during his second expedition in the later 1880’s, Stanley laid the framework for their defeat. Only when Stanley made his march across the Ituri did he discover how aggressively Tippo-Tib’s allies had continued to expand through the northeastern forest. The blank whiteness of European maps masked a land already overrun by Zanzibaris and Bangwana. In order to gain control of the territory, King Leopold II had to mount a more convincing military expedition than Stanley’s weary caravan. That is the part of Stanley’s “In Darkest Africa” where I feel closest to him. He was then in the forest we knew. I could imagine him feeling fortunate to be alive, close to his fire at night, with a small tallow lantern to light his page. If most of the camp slept, he was kept company by the buzz and hum of the forest at night. I was quite aware of the buzz and hum of the forest as I lay awake in bed two nights after our return from Lelo. My belly seemed to have dropped perceptibly. The trip to Lelo had been on Saturday. On Sunday walking became a bit more awkward. I set my hand lightly on the rise that had been my waist as though hoping to understand some sort of Morse Code from the baby inside. What was the plan? It was the end of October. I was dubious if the pregnancy would last into the second week of November as the Nyankunde doctor had predicted. And if John did not come back on time? The state midwife, Véronique, had still not returned to Epulu; so, we would call Kavira. In the meantime Sarah slept, breathing softly and regularly in the next room. The cat was curled on her bed and even the supposedly nocturnal suka (hyrax) was huddled in a furry slumbering ball by Sarah’s head. The hyrax ignored its suka cousin outdoors and downstream that started the short notes of a wail working up in pitch and duration to a real cri-de-coeur crescendo. Soon, still on my back, hand above my belly, I too slept. John returned the next day. No further need to plan for a solo birthing. John walked down to palais in the early afternoon, Monday. He had left the World Bank Toyota stuck behind some trucks several miles down the road. John had spent all of Sunday night in the rain on the back of the truck. He managed to keep dry and even slept in short spells wrapped in the rain jacket and pants some generous traveler had left at Palais. He had a hot bath, and I pulled out one of our few stored bottles of beer. We sat on the rise above the rain-swollen Epulu River sharing beer and news. Kisangani, he said, showed the effects of the rainy season’s reduced trade. You could see it in the market women. They dressed more poorly, plastic sandals, faded clothes. They descended like finches on corn when the truck of the World Bank pulled up to the market. Fewer trucks on the muddied track meant fewer moneyed clients and higher prices on the basic necessities that came over the road. John insisted that the ride had not been exhausting. It was so much better than having to drive our own unreliable vehicle. Almost immediately after supper, however, he went to cuddle Sarah. He was sound asleep before 8 o’clock having only read one page of the storybook. His shoes were still on and hanging off the edge of the bed, his glasses askew. I took off his glasses and finished reading to Sarah propping the book on his chest and keeping the snoring down by tapping his mouth the way Mbuti mothers close the mouth of a sleeping baby. I then kissed Sarah and John, took off John’s shoes, tucked in the mosquito net and took out the lantern. It was a full moon night. The moon shown brilliantly and briefly, silvering the surface of the Epulu. Then a bank of clouds crawled over the white disk plunging the river into a blackness broken by brief, brilliant flashes of lightning. I had the first cramps before 8:30 PM. At 9:00 PM I determined that they were at regular intervals and started getting things ready. I made a list for John: 1) Keep the fire going. 2) Boil the scissors 30 min and put them in sterile solution 3) Cord clamps are wrapped in blue cloth….etc., etc. I put everything in one place and woke John close to 11 PM. “I think the baby will come tonight”. He grunted, rolled over, and lay perfectly still; I was about to nudge him again when he sat bolt upright. Valiant John. There was a stumbling attempt at efficiency. In the meantime torrential rains pounded the tin roof and made discussion almost impossible. Just to get to the kitchen John had to run across the streaming clay yard. He put back on the rain jacket of the night before, grabbed one of the kerosene lanterns and dashed out. He added wood to the fire, sterilized the instruments and came back for a hasty rereading of the pertinent chapter in Là où il n’y a pas de Docteur, our all-purpose medical guide. I remade our bed, put a plastic tarp under the sheet. The storm lessened a bit; the contractions lessened and came irregularly. We lay down listening to the tapping of the rain slowly subside. The buzz and hum of the forest took over again. Soon we both slept, with only one kerosene lantern still burning, just in case. The next morning contractions were gentle and at long irregular intervals. The World Bank Toyota drove in and dropped off John’s purchases. The men got free of the hole just before the late night rain. Basisionoko gave the driver coffee with at least three heaping teaspoons of sugar; they talked about the road. John directed the unloading of the bananas, a jerry can of palm oil, and box of money. Then John came back to our office. He sat down. Should he work at his desk or should he leave for the forest to make up a backlog of missed fieldwork. Not only while he was at Kisangani but, before that, while he was at the hunting camp on the Tito, he had not checked some on-going observations in the forest around Epulu. Probably best to try to catch up a bit now. It was still a week before the predicted birth date. He would go west of town to check his basapi trees and be back by 1 PM. Not the best conditions for concentration on fieldwork. John was preoccupied. He and the Mbuti who accompanied him, left our LandCruiser parked two km from their usual entry into the forest, Epulu-side of the particularly bad quarry-sized mud hole where the World Bank pickup had been stuck the night before. John hurried his team from one tree to the next and vetoed an eager proposal to climb for Abuma fruits. Then, probably driving too quickly back to Epulu, the old LandCruiser got stuck and for twenty minutes they dug, pushed and accelerated at a relatively small mud hole. But he found everything calm at Palais, I was still walking around the house when he drove up. By the time John was back, early afternoon, contractions were regular and increasing. I was convinced that the baby would indeed not wait even another full day. Sarah knew more or less that the baby “wanted to come today” but was too intent on her games to be concerned. She ate her lunch with Kole and Matama, Safenia’s niece. John and I ate alone. John explained to me a theory he had concerning the relationship of fruit removal from basapi trees and overall fruit availability. But my attention was only sporadic. Every time I got a fixed expression and started breathing deeply he would obligingly stop talking until I nodded and then he would continue. We decided to call Kavira but not just yet. DieuDonné, who was helping John with some maps, came down with questions. I told John, in English, to go outside to talk so that I could discreetly lie on the bed for a few minutes now and then. “Don’t talk long” I called to him. But DieuDonné had many questions. They were talking at 3:30, at 3:45. At 4:00 they were still talking. Finally, between contractions, I called out the window, “John, walk with Di-do to camp, send him for Kavira, and get Asha to give Sarah her bath” They left, and it seemed that he was gone forever. Asha wasn’t at camp. John was told that she was in town at Dudu’s restaurant. Dudu and several women were eating mbeli and sugar at her Bosco’s, barazza. “Asha’s drunk,” Dudu informed John. But Asha heard that John was looking for her and came running down the path, reeking of kaipo (locally brewed liqueur). Having assessed Asha’s condition, John stopped at camp and asked Safenia to help with Sarah. In the meantime Asha burst into my room. “Madami wangu” she whimpered in sympathy, finding me on the bed. Breathing heavily and filling the room with alcohol fumes she knelt at my head. Good grief. John arrived just then and moved her drunken, and protesting, “Madami needs me”, to the kitchen where he assured her it was essential someone watch Sarah’s bath water on the fire. Safenia had Sarah by her side and took the clothes off the line. Just then Kenge, also drunk, came down with Gasito, wanting some tobacco. “No men at Palais”, John announced in exasperation. DieuDonné gave Kavira my message and immediately she, like Aasha, guessed what was happening. She came directly arriving by 4:30. John was relieved to no longer be alone. Both John and Kavira washed their hands. With a normal birth there is not much to do. The birth just happens, but the desire to help and the fear that something might go wrong kept them tense and poised. During that last half hour of strong contractions John remembers vividly a small shrew scampering about the edge of the room, exploring rapidly up and down the joint between the wall and floor, trying to find a way out. Just as the baby crowned, he remembers the call of kulikokos, Great Blue Turacos, flying through our clearing. Sarah’s little sister was born and squalling at 5:15 PM, as the sun slanted over the Epulu River and through the windows. Basisionoko had waited to hear the baby’s cry and John’s announcement, “It’s a museka”, “It’s a girl”. He left and soon afterwards a cheer went up from camp. Tate, Madeline and other women came to join Asha, Safenia and Sarah in a triumphant dance around the house. Safenia held the baby wrapped in the Nyankunde swaddling. Although John had forbidden all men from the vicinity, Kenge came down dancing anyway. Perhaps drink made him bold, but he came right into the house to name the baby. The name would be Kasambaka Kenge: Kenge because it is important that a baby carry on your name becoming a majina (namesake) and Kasambaka because for many months the baby “pushed” aside leaves (kasa) of the ambaka plant which is the most abundant understory shrub in the central Ituri Forest. Sarah and her little sister, Rebekah. The next day, Sarah suggested the new baby’s name be “Sarah”. She too wanted a majina. But we didn’t listen. We added Rebekah Sylvia to the names. Sarah wanted to carry, hold, fondle and kiss the new baby sister. But she had a dripping cold. We tried to redirect the ministrations : “bring mama a cup of water”, “set the table’. And then we would lavish her with “thank yous” for the various services. But tears were always near the surface. Particularly when I was nursing. And after announcing to her friends that she was the Big Sister, that she would take care of the new Baby, she was crushed when we wouldn’t let her carry Rebekah around outside for her friends’ benefit. Rebekah was announcing her arrival for the last nine months. Yet, I certainly would not have predicted her immediate first place position or my quick exasperation with Sarah. John, thank goodness, took over at key moments turning Sarah’s tears to giggles. “Hey, lets go brush ‘our tusks’”. He would steer her outside, toothbrushes loaded, and challenge her to see who could spit the farthest. In the evenings it was now John, not I, who set up the basin and called Sarah to her bath. Safenia and Aasha came down earlier in the morning singing out Sarah’s name, telling her they needed her in the kitchen. I remembered Maria, who after giving birth to her second child in Kenge’s camp, had sent her elder toddler, Mado, despite imploring tears, to her aunt in another camp. The priority was the new baby. Although there were no relatives for Sarah, Asha and Safenia whisked her off with Kole and Matama in the morning; they shared leftovers and went up to camp. The whole camp became extended family. Sarah’s world order gradually changed. She became big sister. In Epulu, as in any Congolese village, a woman’s worth is seen in the children she produces and a man has not lived until he has assured the next generation. On the other hand, a birth is no guarantee. Many children die very young. A mother’s attention must be concentrated on her baby during its first weeks of life. There are no post-natal check ups, no health system ready to intervene for a weak infant. The mother will be the first to detect a problem and the only one to prevent it. The camp gathered in Sarah, as they would any older sibling to minimize the mother’s preoccupations. 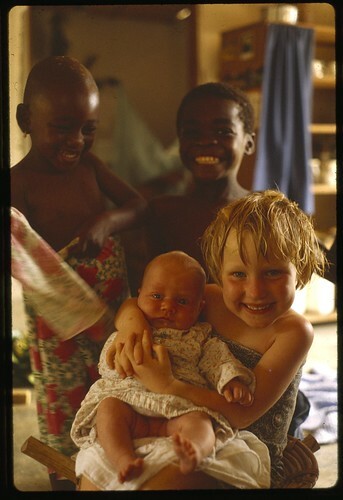 None of the foreigners most connected to the Ituri had children. Putnam, despite numerous American and local wives, left Palais empty, childless. Stanley, though already quite elderly by local standards, had had neither wife nor progeny when he came through the Ituri. Turnbull, although he returned to the Ituri briefly and sent occasional letters, never announced a wife or child. Her infertility had sent her into ethnic isolation. The few ethnic groups met by Stanley on his marches through the Ituri of the late 19th century were people who knew to take advantage of a year of abundance, to collect mbau seeds, and soak them to edibility. Christy, in the early twentieth century, already found the recently arrived Bangwana with big rice gardens in the forest. Now, a half century later, there were big gardens in the forest belonging to the Budu farmers from the north and others belonging to the Nande from the southeastern hills. None of the shops in town belonged to the local Mbuti, or Ndaka or Bila. The guards at the Park Station had come from north of the forest, the Azande and Mangbetu tribes. Their warden along with the small group of soldiers in town had come from the far west. They were Kongo, or Lubu or Mongo. All the “foreigners” whether Nande merchant or Luba soldier, considered the Mbuti Pygmies to be, by far, their inferiors. Like the Gypsies of old Europe, they were landless and considered primitive and irresponsible. It was not just Mati of the southern Ituri who considered the Mbuti uncultured. The strongest racism is directed towards men. Women bear children, and children, in eastern Congo, belong to the tribe of the father. Thus a woman, even of low social standing, has the ability to expand and perpetuate the family of the man, but men of lower tribal affiliation could debase the entire family of the wife. There were cases of Nande moving into the forest and taking on local Bila or Ndaka wives; there were cases of Bila or Ndaka men acquiring an Mbuti as a second or third wife. But not the other way around, never could a village woman admit that an Mbuti man fathered her baby. Much as we disliked the ethnic ordering of the universe, we fit right in. In Epulu we were of the Putnam tribe and we came with the wealth and a world-view that confirmed our blood-line. Often, not even the victim, considered ethnic exploitation an injustice. In frustration I wrote in my journal about the case of Matayo, an Mbuti from east of the Epulu River, who was working for us as a zamu or guard with one-eyed Gilbert. A good natured fellow, he was likely to bring us a string of Landolphia fruits or mushrooms tightly wrapped in a leaf when he came to work in the evening. He didn’t show for work one day and it wasn’t until late the following afternoon that we heard what happened. On his way to Palais, Matayo had been intercepted by an armed soldier from Epulu’s motley 5-man regiment. As he put it to Matayo, he was hungry for meat. He forced Matayo, then and there, to guide him into the forest to an Mbuti hunting camp and kept him in the forest for a week. A week in the forest was no particular hardship. Matayo undoubtedly served as the soldier’s unpaid servant carrying his water and cooking his food, but he had the advantages of the forest. He was with relatives; there was meat to eat at the communal fire and, at night, he joined the others in song. He had only to walk two minutes to be out of sight, and the soldier would be afraid of getting lost if he looked for him. He could collect Landolphia fruit, look for crabs in the stream. He wandered downstream with his bow and arrow intermittently answering, in perfect imitation, the haunting coos of the wood dove. After a week the soldier had had his fill of meat. Matayo finally returned, portering all the soldier’s pilfered meat and personal belongings. A long hard hike. A bad tropical boil kept Matayo hunched by his fire for another week until it finally drained and he could limp back to work. Matayo was not the least bitter. Just bad luck. He did not complain of his mistreatment nor did anyone else. Rather than hoping we would take up his cause, he just asked for tobacco and indulged in a big meal cooked with lots of palm oil and salt. He was satisfied. Although the Mbuti easily accept a friendly soul into their group and reciprocal relations form easily, be they child-care, food, or shelter, the Mbuti do not form a cohesive front to defend a wronged brother. The Nande were now blowing their trumpet while the forest tribes were bowing out of the way. The traditional forest agriculturalists, the Bila, Ndaka and Lese were wealthier than the Mbuti Pygmies in one important respect: they had land rights. By marrying a Bila chief’s daughter, for instance, an immigrant Nande could gain legitimacy and rights for himself and his whole clan. The forest thereby became a frontier that could be pushed back; slowly the forest borders receded inward. Tom Strushaker had pointed out that the conditions that reduced Ugandan forests to small islands were already here. Still wouldn’t footpaths leading to gardens have to become roads running to the very heart of the wilderness before elephant, okapi and chimp were endangered? Once John and I were alone, the discussion always ended optimistically, Zaïre was not on a Ugandan parallel. The Kibale forest in Uganda was an island of just 560 square km whereas the Ituri at 60,000 square km was part of a forest block, even bigger, that continued to the west and to the south. After Rebekah’s birth Kavira came to visit regularly, the only Nande woman I got to know very well. Right away, with an older child in tow, she came to see how Bekah was doing after her first 24 hours. Kavira was triumphant. Babies were good. Even without a steady husband, she would have more children than me. Already it was obvious. Her sons, those with WaNande fathers, would leave for Butembo in the highlands to go to school, then, perhaps they would come back, run a shop and cut new forest gardens a little farther from the road. We waited, even as the Mbuti do after their children are born, for the umbilical cord to dry up and fall off, before taking Rebekah out. It was not until the 13th of November that we ventured across town to the forest on the other side where some seed transplants needed checking. We made a little procession. I carried Rebekah in a sling, Safenia carried my field book, and Kenge and Tshukiza carried some extra field materials and machetes. As we passed Kenge’s camp, we were cheered; Kasambaka was going back, as she should, to the forest ambaka straight away. A little farther up the path we came to the first family dwellings; it was Kalume’s family and the remnants of families that had worked for Putnam. Kalume was no longer there to hold Kasambaka, but his widow and sister got up from the fire and called to us to stop. Other Bila and Ndaka women came out, as well, each to hold Kasambaka, exclaim over the sleek blond hair that made a light downy halo over a very white pate and express their disapproval that she was being taken, so soon, into the forest. On my return, two of these women gave me corn from their gardens and Azama sent me sombe to assure an abundant supply of milk. Azama stood laughing as we went by, legs apart, hands on hips. She shook her head reminding us that people had thought her baby would come a month ahead of mine, but she was still round and heavy. At the top of the path, along the road, the Bangwana prostitutes came from their small houses teeming with children to greet Kasambaka. Now there was a new palais girl. Some held her; one pushed forward her little boy as a potential husband. When would I have another, they asked, this time a son? Then our little procession continued through the gardens and into the cool forest. Rebekah seemed to appreciate the cool shade with its blinking sun spots and cascading shades of green. As she grew older she would tilt her head back in the sling to better contemplate the performance of colors or let her head fall sideways against the ever-present warm body to doze to the rhythm of walking. Back at Palais, a bit less time was spent in data summary and analysis and a bit more time was spent holding, arranging, and just watching Rebekah’s little twists and stretches. We felt very lucky. Rebekah was so round and healthy and seemed to be growing bigger day by day. Other babies born in Epulu at about the same time were still tiny and new-born in appearance. Rebekah was a month old when we threw a party to celebrate her arrival. Several months earlier Jean Bosco had held a similar celebration for his newborn daughter. It was clearly deemed appropriate that we also sponsor a welcome party for Kasambaka. John spent almost $300 on beer, palm wine, corn liquor, antelope, rice, manioc flour and palm oil. Mbuti came from seven km around to dance. Nearly the whole town came, and many of the surrounding villages as well. The Bangwana stood in a cluster and the Lese stood in another cluster. The Nande were a tight knit group at one side of the open barazza, and some of the soldiers made a brief appearance for a bit of corn liquor. Even the group of World Bank highway experts sat around on rattan chairs in front of the house, drank a few beers and entered into the spirit -high spirits-of the evening. Rebekah was held for a few moments by each family elder. The Mbuti danced elephant dances, dances that had started in the era of Arab elephant hunting and that already existed when Stanely’s expedition came through, and Mbuti were pulled into the search for ivory. The Budu danced to the hollow haunting beat of their log drums. The Bila men gathered around four drums of differing sizes all covered with antelope skin and the Mbuti men joined in the harmonized solos of the fast-paced circumcision dance. Sarah, exhausted, was asleep in Basisionoko’s arms when I gathered her up and took her into bed. We didn’t last much longer. John and I with Rebekah in-between lay down while the drums were still beating outside. A hyrax called downstream, apparently unperturbed by this other rhythm: First the Bila then the Budu, such different drums, such different beats, obviously in competition, giving each other shorter and shorter rhythmic spaces. Eventually there was a clatter of moving drums and a loud exchange of good-humoured insults. There was a brief silence filled only with a buzz of orthopterans, followed by song, just song. There could not have been more than five or six Mbuti still outside sitting at the fire. I don’t know how long they sang. We slept. This entry was written by Terese Hart, posted on 2014-08-24 at 11:37 pm, filed under Ituri Story_memoire. Bookmark the permalink. Follow any comments here with the RSS feed for this post. Post a comment or leave a trackback: Trackback URL.